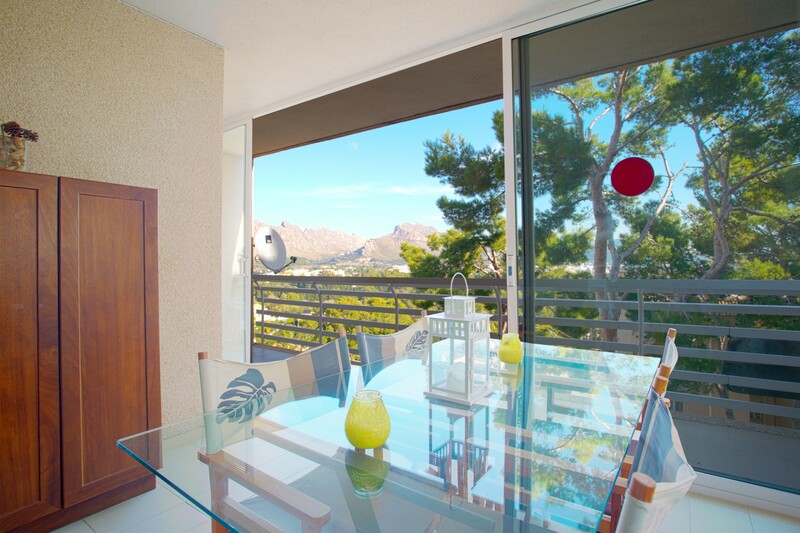 This attractive apartment is found in a residential complex, in peaceful Gotmmar area, just 600m from Puerto Pollensa. Puerto Pollensa is without a doubt, one of Mallorca’s most strikingly situated resorts. 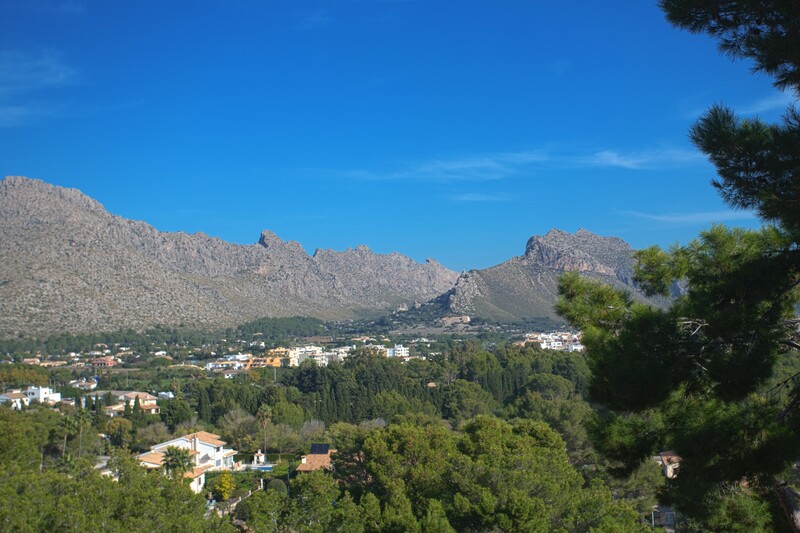 Clustered around a pretty, horseshoe bay, beneath the dramatic Tramuntana Mountains. Puerto Pollensa is for those seeking the ´real´ Mallorca, with its sandy coves, hilltop villages and quiet olive groves, far removed from the mega resorts of the south. 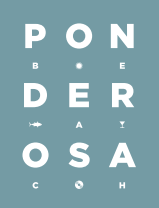 People enjoy a slower pace of life here, a visit to the weekly market or the old churches, or a leisurely stroll through the charming cobbled streets to set you up for a delicious meal or refreshing drink at one of the numerous restaurants, cafés and bars in the town’s stylish marina. 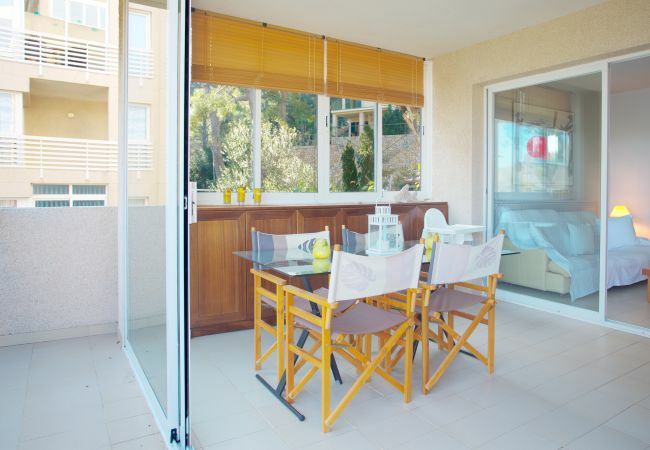 Apartment Bellauba is immaculately maintained with spacious, airy rooms with plenty of natural light. 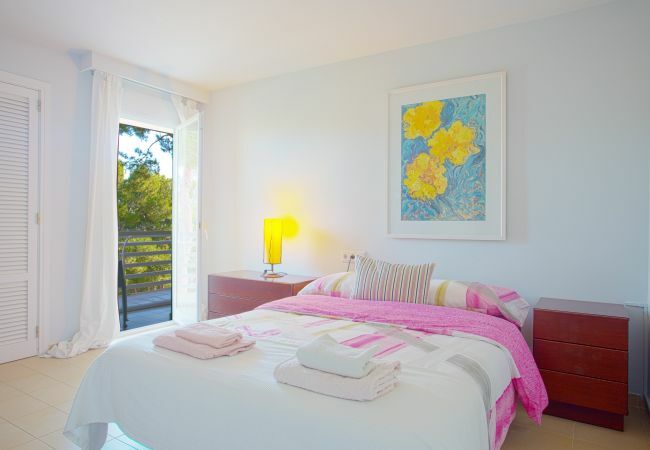 A large living-dining room is furnished with comfortable sofas and has a wide-screen television. 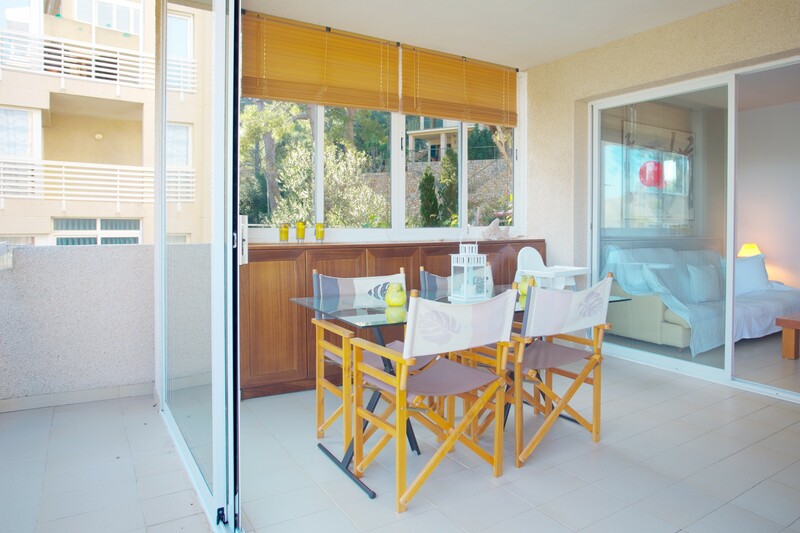 This room’s French doors lead directly on to the apartment’s private terrace, 21 sqm of covered space, ideal for al fresco meals or peaceful afternoons reading and relaxing. 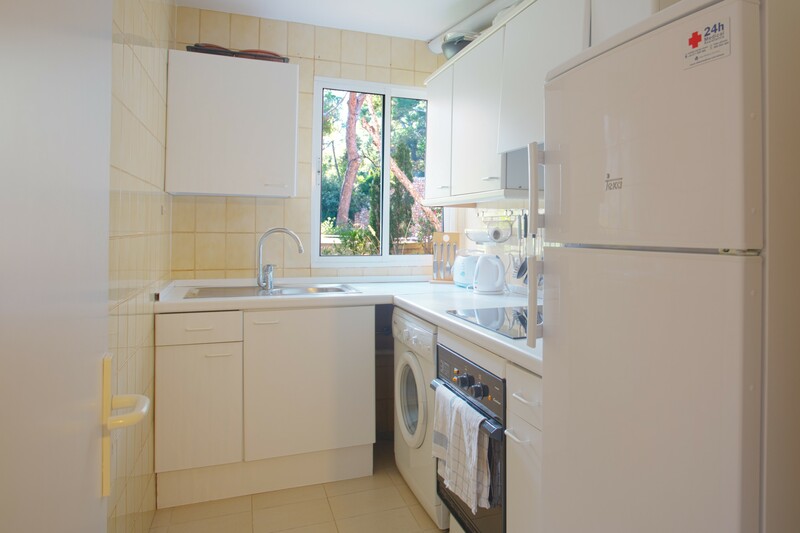 Of course the apartment has a kitchen, fully-equipped with all you will need for convenient self-catering. There are two bedrooms, one a large double and one with two single beds so the apartment can comfortably accommodate four people. The bedrooms share a bathroom. 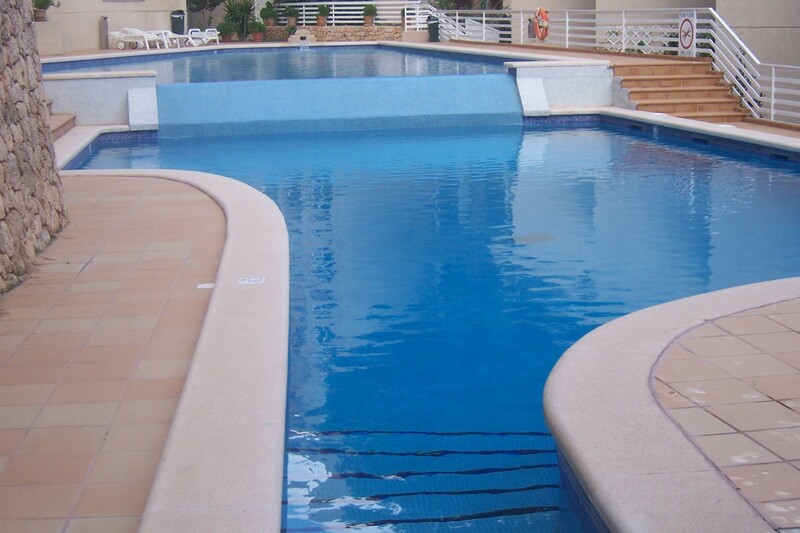 The building is also easy access with a lift and parking and also a very large communal swimming pool. The beach is only 1 kilometer, about 10 - 15 minutes walking. Restaurants, shops and supermarkets within 1 kilometer. 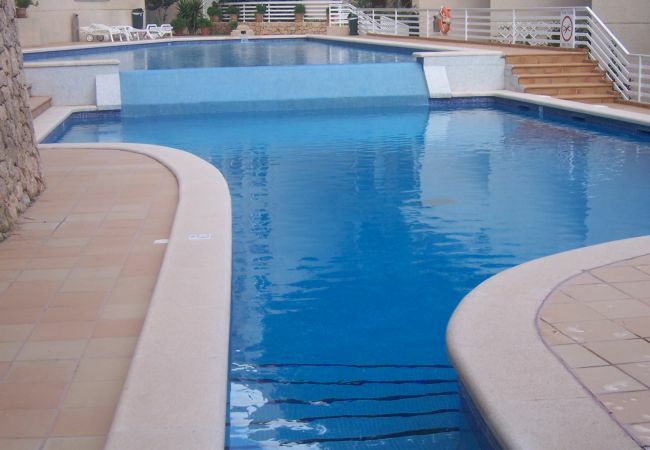 - TV, TV Satellite (Languages: Spanish, English, German), 3rd floor, lift, terrace, iron, 64 m² property, electric heating, communal swimming pool (dimensions 10x4metros).